Osteria Laguna, 557-0001, 209 E. 42nd St.
Trattoria Alba, 689-3200, 233 E. 34th St.
Chiam, 371-2323, 160 E. 48 St. The Palm, 684-2953, 837 2nd Ave.
Tuscan, 404-1700, 622 3rd Ave.
Docks Oyster Bar, 986-8080, 633 3rd Ave.
El Pote, 889-6680, 718 2nd Ave.
Marichu, 370-1866, 342 E. 45 St.
Ola, 759-0590, 304 East 48st. El Rio Grande, 867-0922, 160 E. 38st. Meltemi, 355-4040, 905 1st Ave.
Avra, 759-8550, 141 E. 45st. Sushi Yasuda, 972-1001, 204 E. 43st. Seo, 355-7722, 249 E. 49st. East, 687-5075, 210 E. 44st. Chez Michallet, 212-242-8309, 90 Bedford Street. Not nearby but one of the principals lives in the building. Rive Gauche,949-5400, 560 3rd Ave.
Cafe de Paris, 486-1411, 924 2nd Ave.
Cosette, 889-5489, 163 E. 33St. Virot, 658-0266, 52 E. 41st. The Summit. A restaurant and lounge with a piano bar. 308 East 49th Street. 212-759-1964. Sonora, 297-0280, 222 E. 39st. Metropolitan Cafe, 759-5600, 959 1st Ave.
Garnet Wines & Liquors, 772-3211, 929 Lexington Avenue, fax: 517-4029. Educational and they deliver. The Wine Shop, 1585 First Avenue. 212-517-2550. Check out your favorite restaurant at the NYC Health Department inspections site. Back to top of links. Send us comments on these links and suggest others. D'Agostino's, 578 Third Avenue (38th St.), 212-972-4892. You can also order online (through webgrocer) and they deliver. Lots of people have been using FreshDirect. First-time users get $50 worth of free groceries, then a $25 off your second order. Delivery schedule is very flexible with evening deliveries. Additional page of links on pet resources in the neighborhood. Check out what's happening in Times Square at this web cam site. Camera 3 lets you see how long the line is at the TKTS booth. See 2 Tudor and/or your apartment from the Empire State Building web cam (requires simple registration). The MTA - navigate from the MTA site or go to Subway and bus information, Long Island Rail Road and Metro North Schedules. New Jersey Transit - Map and Schedules. Amtrak for information on trips in the northeast and more. NYC Department of Transportation's Real Time Cameras. Click on Advanced Traveler Information System and then select the Manhattan page. Click on one of the little cameras for a real-time view of traffic conditions. Very cool, though not all cameras are working all the time. Traffic information from MetroCommute.com. Somewhat odd design and you can't link to a specific spot. The cameras do not cover our neighborhood. Heading north? This is Hudson Valley information, including the New York Thruway. Click on "Current Conditions" button. The Tudor City Association has some local history. The Turtle Bay Association neighborhood information and history. See the last reference on this page from the NYPL. NYU has articles about the neighborhood. An article about the area in a real estate newsletter. Overview of the area's history from PageWise. The area's history from a local real estate site plus some information on 2 Tudor City Place. Another real estate manager for the area has some history on their site. Some additional information about the area from a fan of the area. 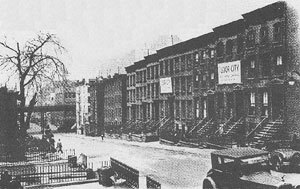 The corner of 41st Street and Second Avenue in the 1800's. See more of Turtle Bay Farms here. The NYC Department of Transportation has on-line forms for complaints about streetlight, sidewalk, pothole, etc. problems. To call on the phone it's 212 CALLDOT (225-5368) or TDD 212-442-9488. Council Member Moskowitz for e-mail. This is a link to her web site. Get your Zip or check hours at the post office. Pay your parking tickets, or do almost anything else you need from the government of New York City. Find out what's happening in NYC at New York Convention & Visitor's Bureau Site. The Council of New York Cooperatives has an extensive list of links related to government and co-op living. Keep up to-date with the ConEd issue at East Midtown Coalition for Sensible Development. Use their on-line instructions to write your elected officials. 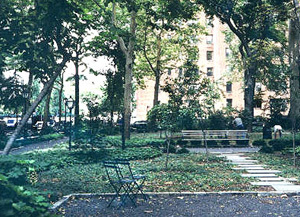 East 45th Street Homeless Shelter -- Please visit the web site of the Coalition for Sensible Locating of the Grand Central Drop-In Center and write your elected representatives. The New York Council of Co-ops has a website with some useful information for people in co-ops. 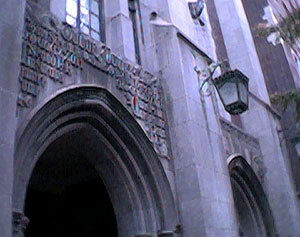 The Tudor City Association is a key organization for people in our neighborhood. The building's managing agent, John J. Grogan & Assocs., has a brokerage division that handles sales of apartments in the building. 212-370-1480. The Corcoran Group often has listings for 2 Tudor. 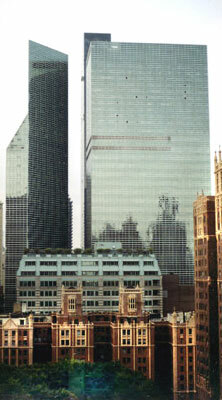 The Corocoran site no longer has a Tudor City section. You'll have to search for "Tudor City." A local broker has some listings in 2 Tudor at TudorCity.com. Crowne Plaza 304 E 42nd St (212) 986-8800. The closest, steps away. 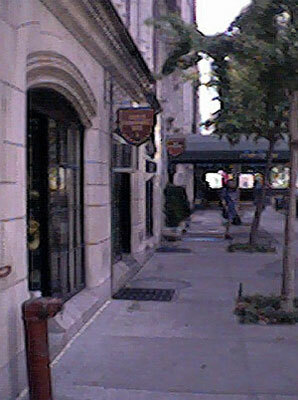 New York Helmsley Hotel 212 E 42nd St (212) 490-8900. Hyatt at 42nd street and lexington is advertising $179 rooms. 800-233-1234. Radisson at Lex and 48th. 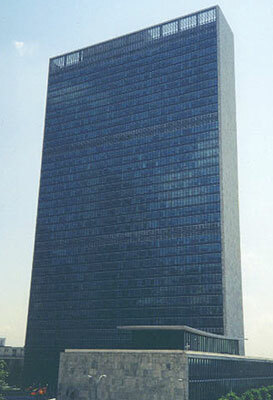 UN Plaza 1st Avenue and about 44th. (212) 758-1234. Beekman Tower Hotel 3 Mitchell Place (49th Street and 1st- nice spot) (212) 355-7300. New York Marriott East Side 525 Lexington Ave (212) 755-4000. 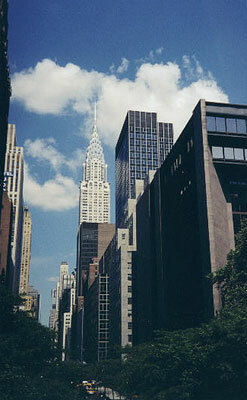 Or try citysearch.com and go to New York hotels in the Murray Hill neighborhood. Chelsea Garden Center opened on 10th Avenue & 38th Street. Well equipped and they also deliver. Also in Manhattan: Dimitris Garden Center. Their web site is currently useless other than address (2nd Avenue at 102nd Street) but you can order at NYC ToGo. Manhattan delivery is $20.00. Gardeners Supply is a mail order source for compost, fertilizer, and other supplies. Mellingers is a supplier with a lot of stuff but they do not have the most sophisticated web site. Also, don't forget Jack's 99 Cent Store and Odd Job, particularly in season. They often have potting soil, pots, tools and other supplies. Odd Job is on Lexington north of 45th Street and Jack's is on 40th Street off Madison Avenue.